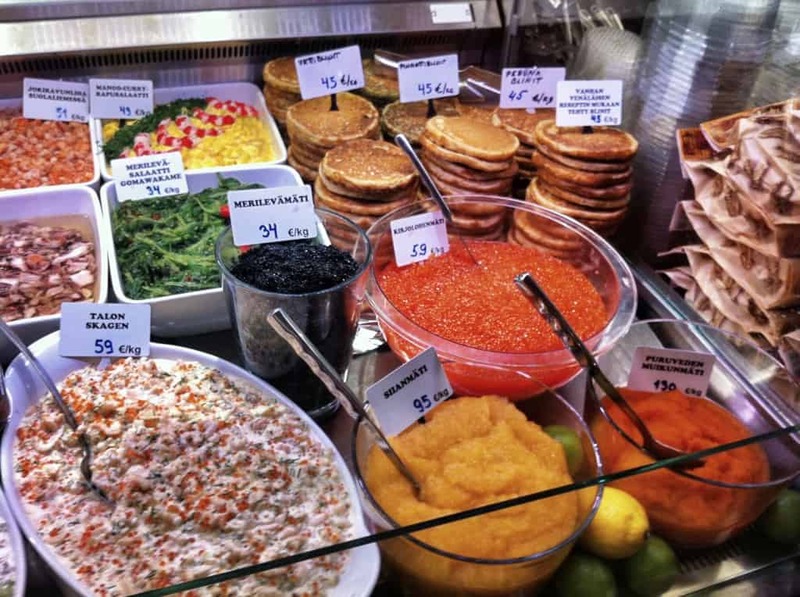 The Finnish may not be internationally known for their food, but there are still some local favorites that you can’t miss on any visit to Helsinki. In fact, I didn’t really know anything about Finland prior to my trip, let alone anything about Finnish food. It was only after spending a few days traveling with locals that I learned what the Finnish are internationally famous for – their Saunas. Oh, plus Nokia and Angry Birds. Who knew?! First let’s talk about the coffee. I would compare Finnish coffee to that of the United States – brewed, drip coffee which is filtered and served in large portions. Though the coffee itself it not exceptionally unique, I found the Finnish coffee culture in general to be the most interesting. It turns out that Finnish people drink twice as much coffee as the average European and are among the top coffee consumers globally – some people going as far as claiming they drink the most in the world. Maybe they’re just always cold and trying to stay warm. Makes perfect sense to me! 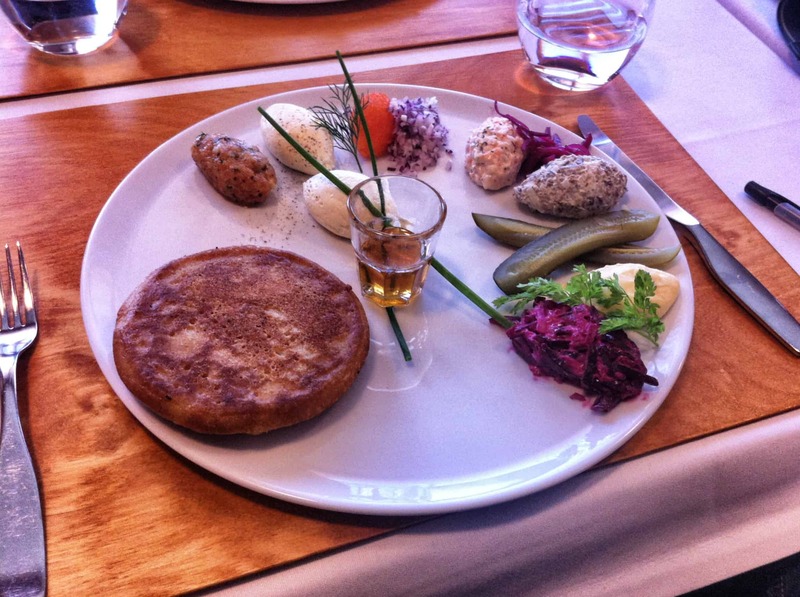 So after spending days drinking copious amounts of coffee, it was time to try a real Helsinki favorite: The Blini. This was my favorite food on the tour and one you simply can’t miss. It’s a bit like a pancake but thicker and made with buckwheat flour and butter. Blinnis actually originate from Russia where they are traditionally eaten as a dessert. But in Finland they are served as an appetizer or main dish with savory toppings, rather than sweet. 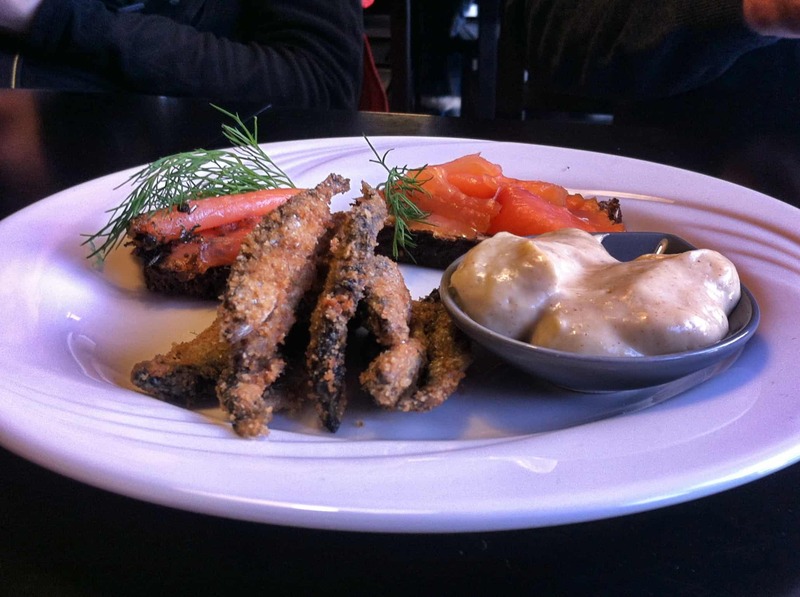 Finnish blinnis can be served with a number of different toppings including sour cream, fish eggs, pickles, onion, mayonnaise, tomato or shrimp. The strangest, yet best combination in my opinion was sour cream, honey and pickle, which we sampled at Restaurant Lasipalatsi. Though it might sound unappetizing, the salty, savory and sweet foods all blend together to form the perfect flavor. 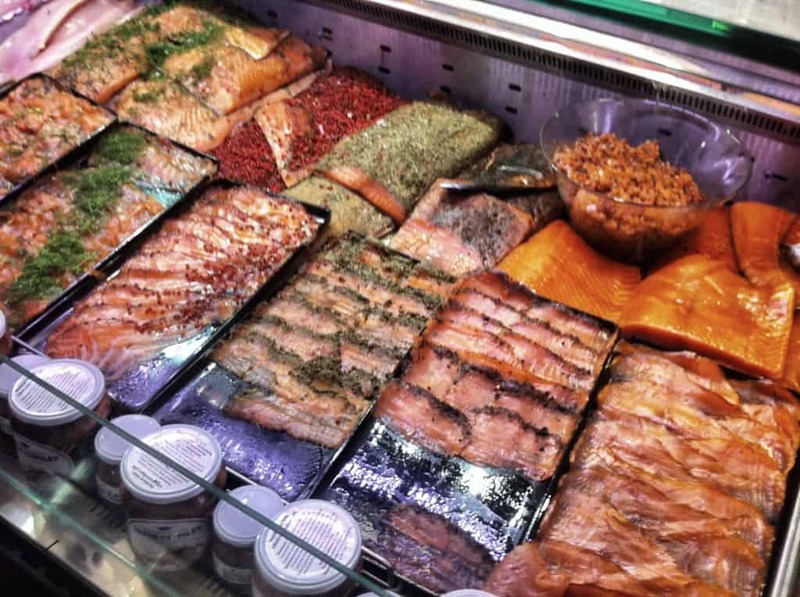 Another staple in the Finnish diet is fish. I found salmon, in various forms, served nearly every day during my trip including breakfast, lunch and dinner. The winner in my book was the cold smoked salmon we got from the Hietalahti Market Hall. Pickled herring is also quite popular amongst Finnish people but it’s at the bottom of my list. 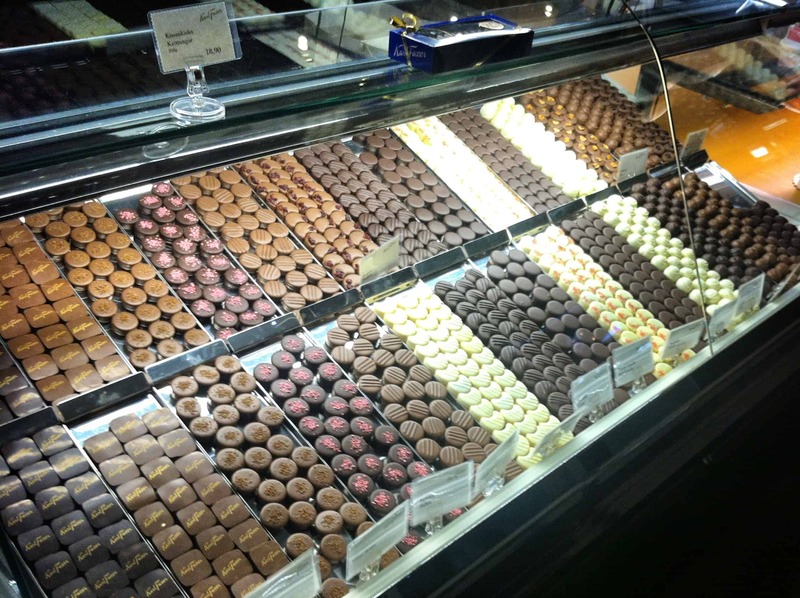 If you’re a chocolate fan, then you’ll want to visit the Finnish favorite chocolatier: Fazer Café. The original confectionary café was opened in Helsinki in 1891 and it remains a landmark in the center of the city. You’ll see Fazer cafes all around Helsinki, but the original location at Kluuvikatu 3 is the best experience. Chances are that if you’re visiting Finland, you’ll be spending some time in Helsinki. 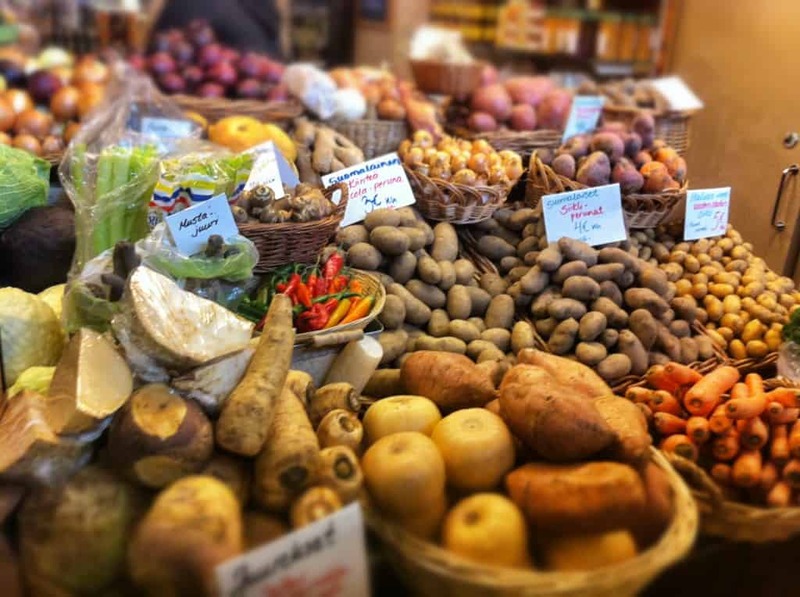 Even if you only have a day or two, be sure to set aside some time to experience the local culinary culture. If you’re brave you can sample the herring, but maybe some fresh smoked salmon and a Finnish blini is a safer bet! Visit Helsinki sponsored many of my activities during my visit, including this food tour but rest assured all opinions are mine. 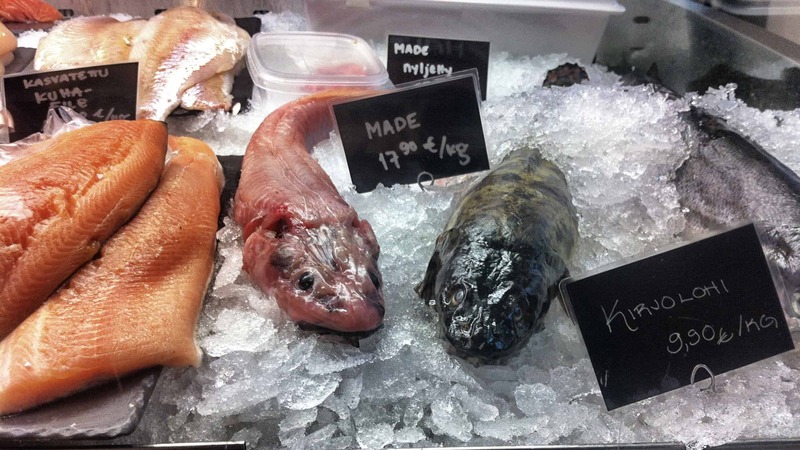 Have you ever tried Finnish food? Would you be crazy enough to visit Finland in January like I did? Let us know in the comments below! Looks great! I only had a layover in Finland, but the airport made me want to plan a trip! Ah too bad. It’s worth a visit next time you get the chance! Those are the most tradiotional Russian blinis, not Finnish at all. Salmon is popular here, but not as much as you might think, seldom people eat it even once a week. 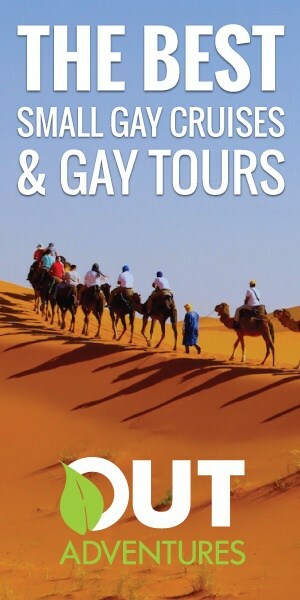 I wonder why they made you a tour like that. Real traditional (and very tasty) Finnish food is reindeer. Reindeer is good in all shapes, most popular way would be with smashed potatoes and lingonberry jam. We use a lot of ingredients from our nature, like chantarelle and other mushrooms that grow here. Chantarelle soup is one of my personal favourites. Also berries are popular, Cloudberry is the one everyone should taste with a bit of our traditional “bread cheese”. Like other people, we don’t always eat our traditional foods, but these are the best and everyone should try these when they come here. And I do agree with the chocolate, it’s awesome, they have really good chocolate-chili cake in Fazer cafe as well. We did have reindeer but not on the food tour! For some reason I ate salmon everyday during the trip. No idea why so much! ?